Located in Baia Mare, EUROHOTEL BAIA MARE is a 5-minute drive from Monument of the Heros and 6 minutes from County Museum of History and Archeology. Featured amenities include dry cleaning/laundry services, a 24-hour front desk, and luggage storage. Free self parking is available onsite. With a stay at Plus Hotel in Craiova, you'll be within a 15-minute drive of Ion Oblemenco Stadium and Dolj County Hall. Free self parking is available onsite. 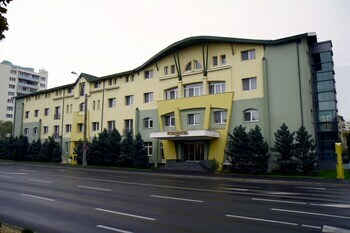 Located in Brasov, Pensiunea La Residenza is within a 10-minute drive of Mount Tampa and Piata Sfatului. Free self parking is available onsite.